Exhibition: "Make Space. We Will Not Be Erased." Thursday, Dec 6, 2018, 6:30 – 9:30 p.m. This event was organized by the Autumn 2018 CHID 250D students. "Make Space. We Will Not Be Erased"
A talent and art exhibition showcasing musicians, artists, and poets whose voices will not be silenced. 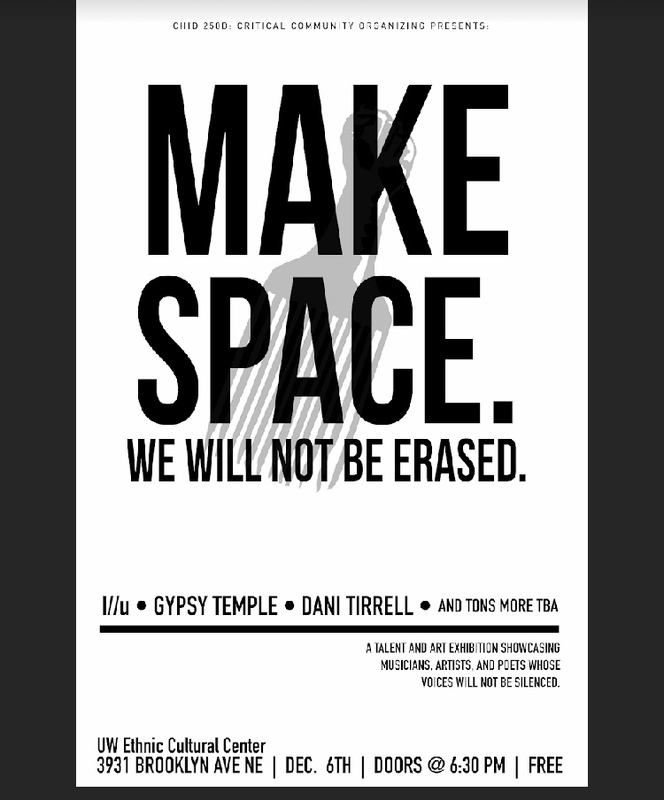 Featuring performances by I//u, Gypsy Temple, Dani Tirrell, and more. Admission is free. Doors open at 6:30 PM for one night only.